HP introduced its low cost 1000 Series processor in 1979, the L-Series. Like the 21-MX computers, the L-Series was driven by the RTE operating system (RTE-L). 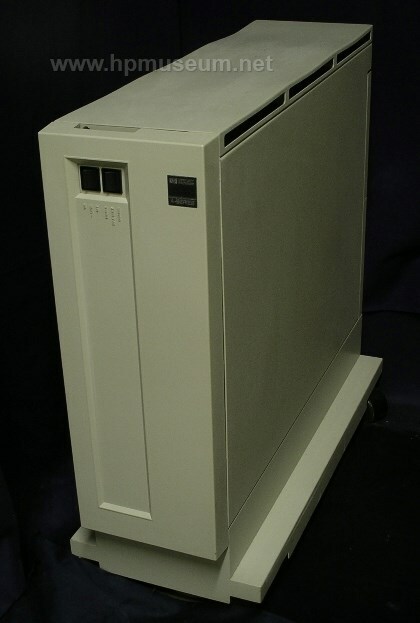 The L-Series represented a significant departure in hardware design for HP 1000 computers. The L-Series was based on HP's new LSI CMOS/SOS (Silicon on Saphire) processors. This processor had no Dynamic Mapping System (DMS). The CPU included an SOS processor as did each interface board. The processor residing on the interface boards gave those boards full access to computer memory, relieving the main CPU of IO control operations. This design provided the L-Series with much faster performance and throughput than the 21-MX computers. The interface boards for the L-Series were not backward compatible with the 21-MX or early 2000 computers. The A-Series was introduced in 1982 to replace the L-Series. The A-Series was based on new, high-performance processors with a speed of over 1 million instructions per second. The A-Series ran the RTE-A operating system. These computers came in many models beginning with the A600 and A700. The A990 was introduced in 1990 and was the last of the HP 1000 computers. These products were developed and manufactured at HP's Data Systems Division. The museum has a collection of software available for download for these computers. Click here for the software listing. Click here to read Rik Bos' instructions on how to log in to an RTE-A hard disc when you don't know the password (file size 1.5 Mb).